Register today and we can have your sign installed by tomorrow! 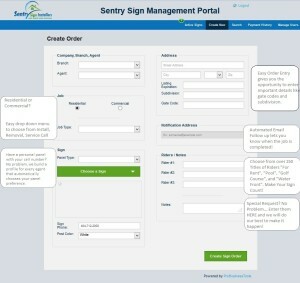 Our clients love the Sentry Sign Management Portal! Simply login and click the create new tab at the top to order service. 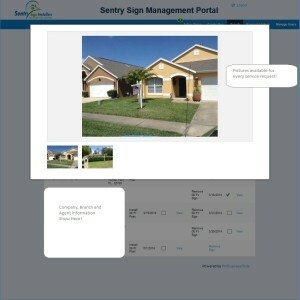 You will be given the chance to enter your service address and other details necessary to get your sign installed fast. It takes about sixty seconds, and in most cases, your order will be completed the next business day. You will receive an email confirmation with a photo, so you know the job was done right. 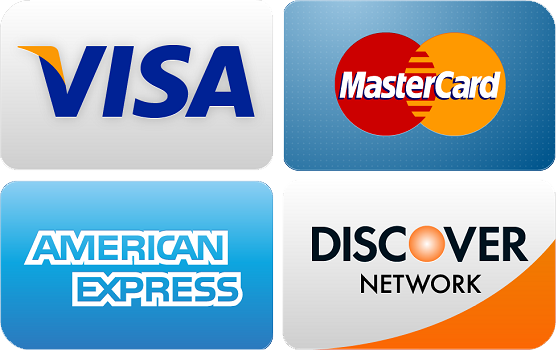 You can also view and pay your bill right online in just a few clicks. What could be easier? No more billing disputes or messed up orders, the portal makes it all visible to you 24 hours per day, seven days per week. Give it a try! 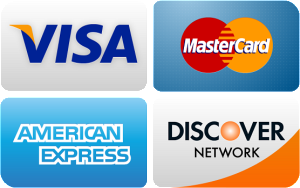 It only takes about two minutes to set up your account. We Love our customers and They Love us too! 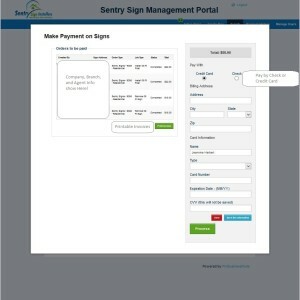 At Sentry Sign Installers, we understand customer service. Sometimes delicate situations require a team of installers that are willing to work with your special needs to make sure your buyers and sellers are happy. Were passionate about our realtors and we love to go the extra mile to to make them smile. Just give us a call and tell us what we can do to provide you with excellent service.